Congratulations to Mr. Nagatani’s class for achieving 100% PTA Memberships! They have earned a pizza party sponsored by Jules Thin Crust and can create a customized pizza to be sold for a limited time at their store on College Avenue. The Annual Fund contest has turned into a close race. Ms. Shield is still in the lead at 74%, but there are several classes who are catching up quickly. 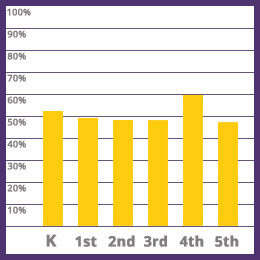 The goal for our school is to hit 100% participation. ANY donation in ANY amount counts toward your Annual Fund contribution. It has never been done at Chabot and it would be quite a record setter if we can reach 100%. The Annual Fund campaign will end on October 31st. The winning class will earn an ice cream sandwich party sponsored by CREAM!